Well this one is spectacularly late. This was one of a few posts that I wanted to get to before I took off overseas, but got lost in the mad organisational scramble. Better late than never though and look at it this way, now you get two Worth Watching pieces in the course of a week or so. Plus it is one of those rare(ish) months where nothing was not worth watching, so you get two big suggestions cause everything is ace. Grey Gardens (1975), Albert & David Maysles, Ellen Hovde and Muffie Meyer – This verite slice of absurdity has left a definite cultural impression. The eccentric and at times pitiable subjects – a mother and daughter both named Edie are the reason why. They simultaneously feel totally not of this world but also totally a part of it and there is some real insight into the human psyche there. Personally, with so much resentment on the part of Li’l Edie, I felt like this was a really sad film which veers almost into surrealist territory toward the end. It’s an interesting watch, though I do feel a little unsure as to its place in American film history. 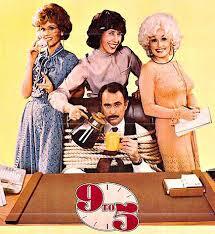 9 to 5 (1980), Colin Higgins – In all seriousness, I think this is the best theme song ever. I love this film too. It’s sharply written and awesomely feminist as well as unfortunately prescient for today’s corporate culture. The three lead actresses all excel. Jane Fonda has a really good presence onscreen. And in the words of my fiancée, Dolly Parton is the best thing since sliced bread. It’s a very cool melding of genres, caper film, comedy, drama, issues film, crime flick and even a fantastical venture into the hunting of one’s boss. Fantastical that comes literal. Definitely check this out if you’ve never seen it. Hook (1991), Steven Spielberg – The first 30 odd minutes of this is some of Spielberg’s best work. It tapers unfortunately when it hits Neverland, just as it should be getting better and better. But it still holds up as a clever inversion of the Pan tale. The boy who could never grow up is now way too grown up and jaded. For contemporary audiences the real sharpness is in the insight into the mindset of kids and adults. Interestingly it’s a dark world the film takes place in. Death is all too real here. Weeds Season 8 (2012), Jenji Kohan – A great opening credits sequence referencing what has come before, heralds the best season of this show for quite a few. Mainly thanks to the writing which is incisive and hilarious, nailing the incorporation of the prior seven seasons as well as melding them into something new. This final season of the show cements Andy’s as the defining character arc of the whole show. Even the ‘years later’ final double episode, which threatens to be a little too surreal, warms the heart and leaves you wishing there was more. Edge of Tomorrow (2014), Doug Liman – I’ve never been so happy that a trailer was so unrepresentative of the eventual film. This is surprisingly not serious or confusing which seemed to be what the trailer was aiming for. Rather it is barrels of fun and refreshingly does not take itself too seriously. A delightful throwback really. It loses a little steam in the second half and never constructs the enemy as well as it could have. But it is really polished and you will be having too much fun to notice any of those issues. 22 Jump Street (2014), Phil Lord and Christopher Miller – Doesn’t match the charm of the first, but tis still a really fun sequel. The meta humour about sequels never changing is a nice touch, even if it does get a little contrived in its construction eventually. Hill and Tatum have great chemistry and it would be great to see the latter in more comedies, assuming the material is worthy. The closing credits are well designed too, and it would be no surprise to see a real 23 Jump Street soon enough. Encounters at the End of the World (2007), Werner Herzog – Perhaps one of the most visually spectacular docos ever, helped by Werner’s use of classical music giving the images a haunting quality. Absurd, but with a degree of insightful brilliance that is unfathomable, like all of Herzog’s work. 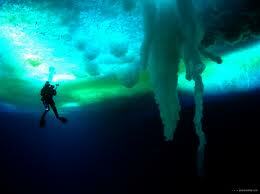 The generally unseen industrial complex in Antarctica is a startling interaction between man and nature. Related beermovie.net articles for you to check out: Worth Watching June 2012 and Worth Watching June 2013. Cheers man. Still a bit hectic here, hence the slow response to comments. But great to be back. It’s OK. Glad you’re back. Yeah it is a pretty cool flick. Everyone I have chatted to about it seems to really dig it. cant wait to see edge of tomorrow, jump street and encounters. welcome back mate! I should probably check out 21 Jump Street as I hear it is pretty funny. 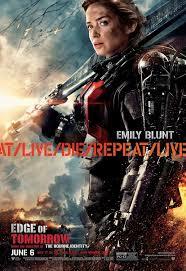 From the mentioned movies Edge of Tomorrow is the one I am looking forward to seeing the most. Yeah the two Jump Street films are decent enough comedies. Nothing ground breaking. But the state of comedy is pretty dire these days that it does not take much to impress.